He says learned Magistrate had acted on a wrong principle. 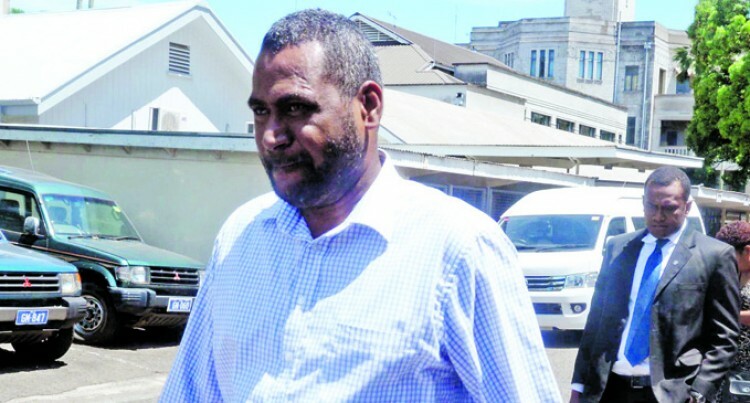 High Court judge Justice Salesi Temo is “baffled” as to how a case involving the theft of more than $4,000,000 was executed by a Magistrate in the Magistrate’s Court. The said case involves the case of former Acting Deputy Official Receiver, Viliame Katia, which was called in the Nausori Magistrates Court on Tuesday in compliance with orders given by Justice Temo. Katia, 39, was sentenced to 14 years in jail with a non-parole period of 12 years by Magistrate Shageeth Somaratne on June 1, 2017. By ignoring the commands of Section 190 (1) (b) of the Criminal Procedure Act of 2009, Justice Temo said the learned Magistrate had acted on a wrong principle. “The decision of the learned Magistrate was plainly unreasonable and unjust to the people that Katia had offended against,” Justice Temo said. Katia was convicted for abuse of office for gain, forgery, embezzlement by servant, false information to public servant, unauthorised modification of data and obtaining financial advantage charges. The offences occurred between July 1, 2008 and January 14, 2016 while he was employed in the Public Service and involved a sum of $4,118,447.43. “I am baffled as to why the learned Magistrate had failed to initially send the case to the High Court for sentencing because his sentencing powers per count was limited to 10 years and the maximum sentences for some of the counts were more than 10 years,” Justice Temo said. Katia’s sentence was deemed null and void by Justice Temo and set aside on June 28, 2018 and his case was transferred back to Magistrate Somaratne where the Magistrate was directed to exercise his discretion correctly by transferring the case to the High Court for sentencing. In his appeal judgement against Katia’s sentence, Justice Temo ruled that in his 15 years of service in the Magistrates Court he had never heard of any theft of more than $4,000,000 been dealt with in the Magistrate’s Court. “If anything, the sum involved should have alerted the Magistrate that the case was one for the High Court,” Justice Temo said. Katia’s case was adjourned and will be called in the High Court on July 20, 2018 to check if Justice Temo’s orders have been complied with and to allow the due process of the law to continue. Katia has since been remanded in custody.